Further Host Families Urgently Needed! The response to the recent appeal for host families to look after children from Belarus who live in the area of Chernobyl was fantastic. Unfortunately two families have now had to withdraw their assistance due to personal circumstances. Therefore, we are urgently looking for replacement hosts for one or two children for two weeks this summer. Looking after them is no different than looking after your own children or Grandchildren. They do not have special needs except needing fresh air and good food. Full support is given and we will give you complete guidance before the children arrive and during their stay. It is very satisfying to know that you will have made a difference to that child's life because it does even just for that short period. Just to put a smile on their face is rewarding. 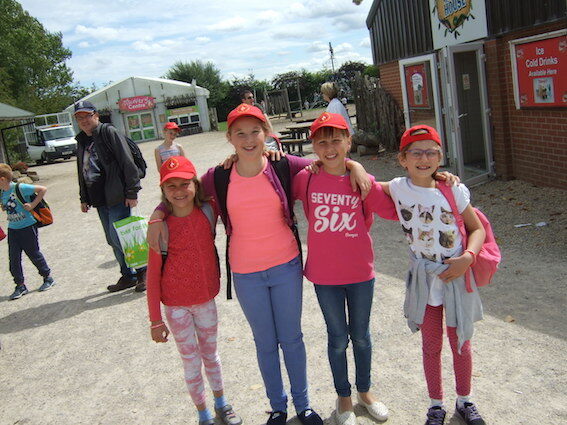 The dates of their stay will be between Saturday 28th July and Saturday 18th August 2018. the children are away at camp in that period for four days without their hosts. Any clothes they may need are free from our charity shop. All costs for the child's journey are met by the charity and also any visits they go on will also be met by the charity and you and your family are included. We are a friendly informal group of all ages, we have one thing in common and that is we want to make a difference to these children's' lives. If you believe you could make a difference to a child's life please contact me and myself and a female colleague will visit you in your home and talk in detail about the visit.